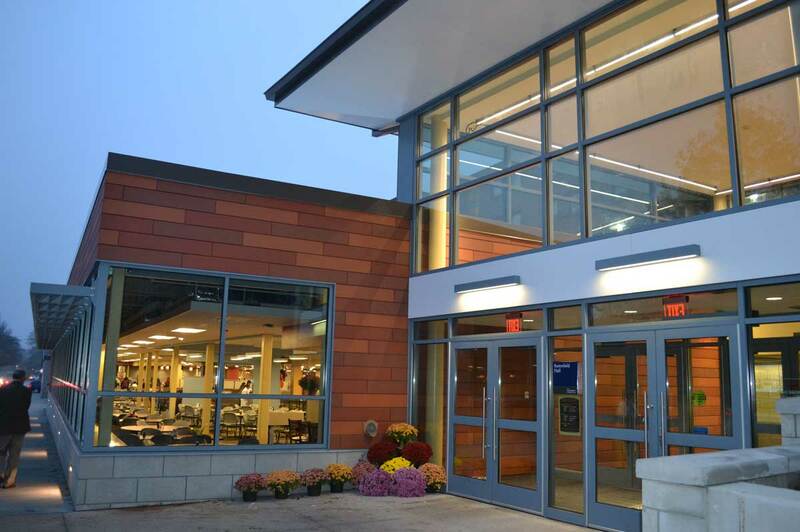 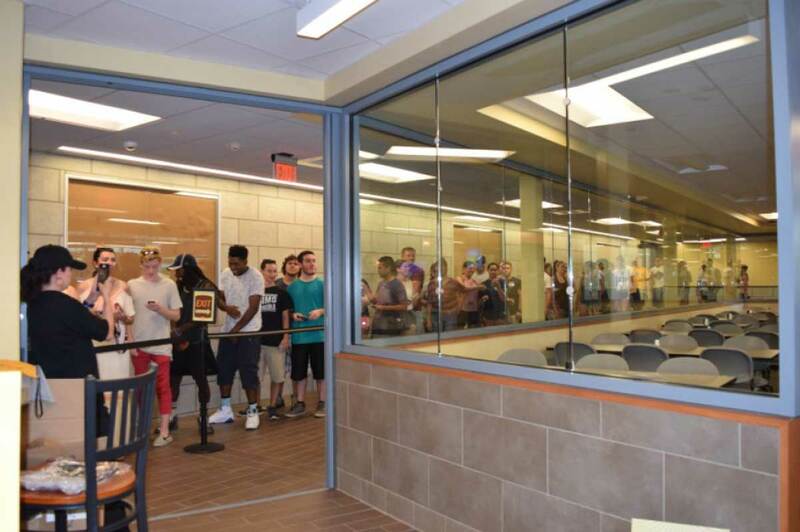 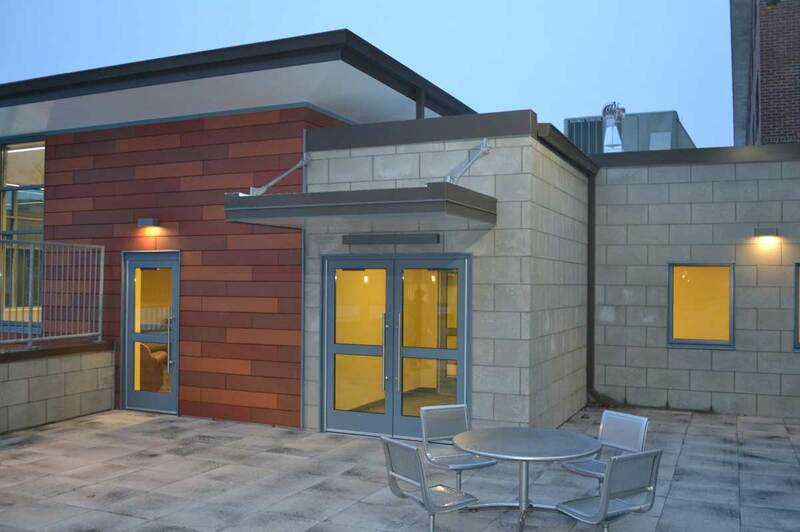 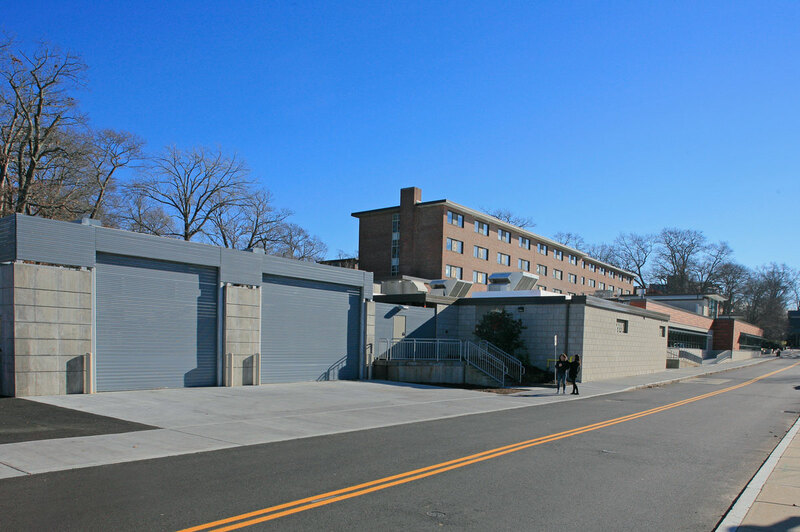 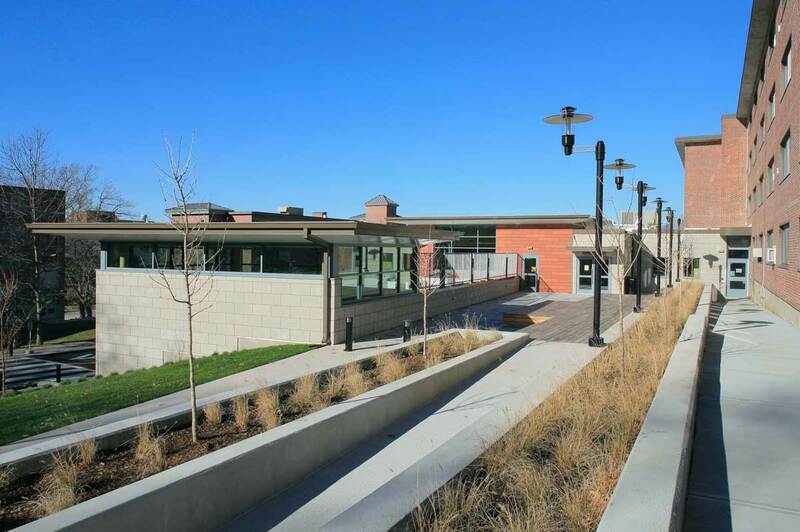 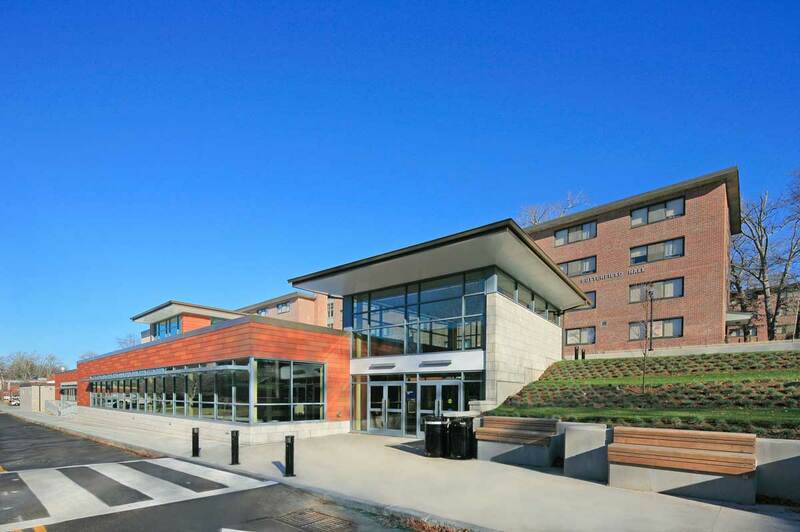 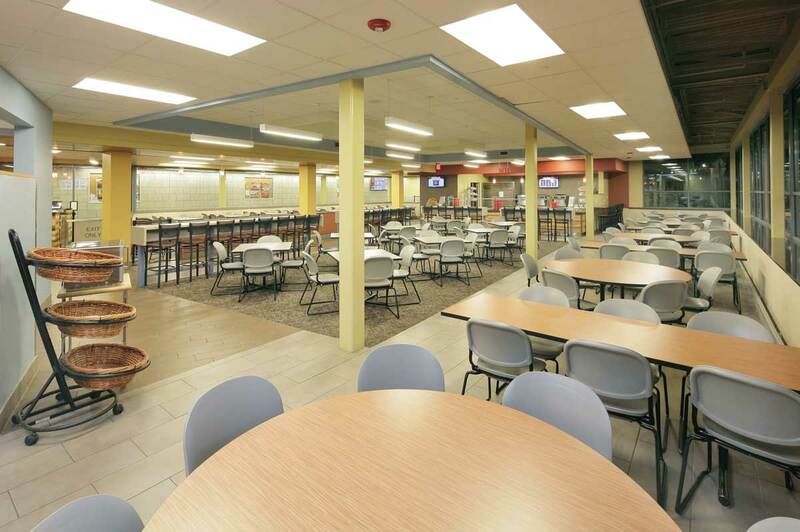 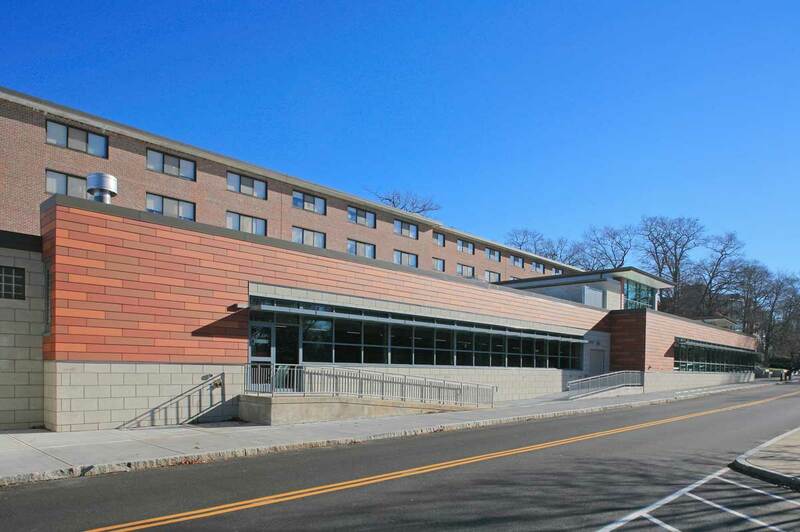 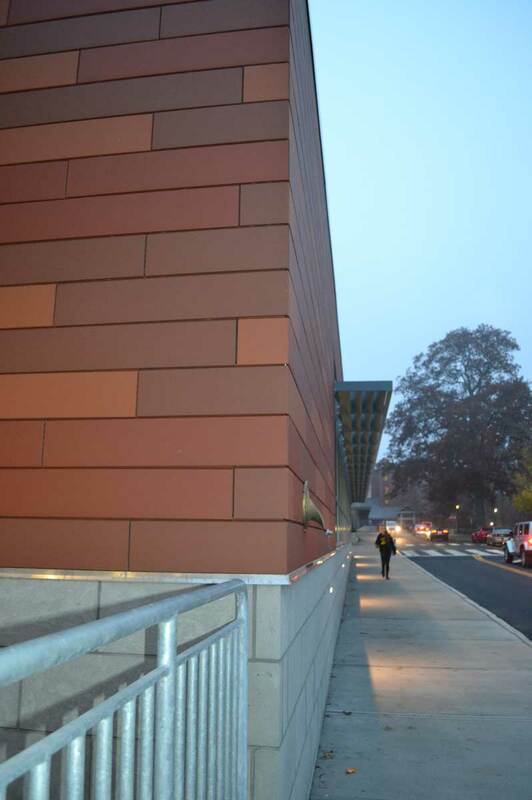 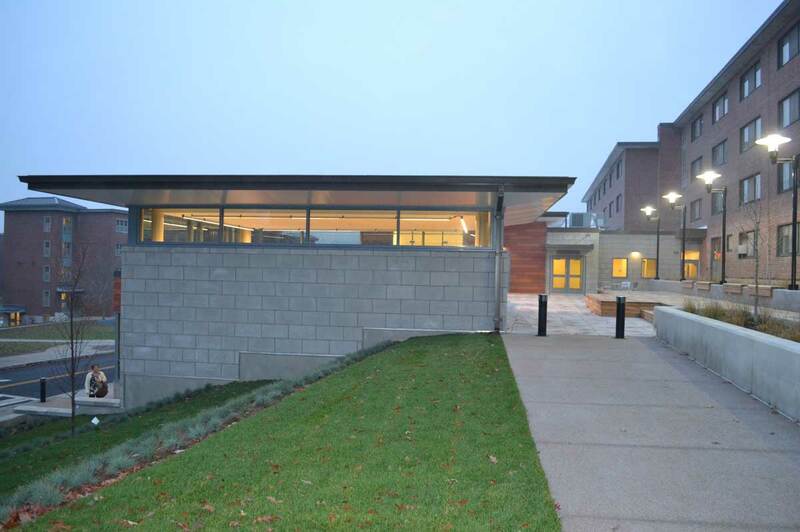 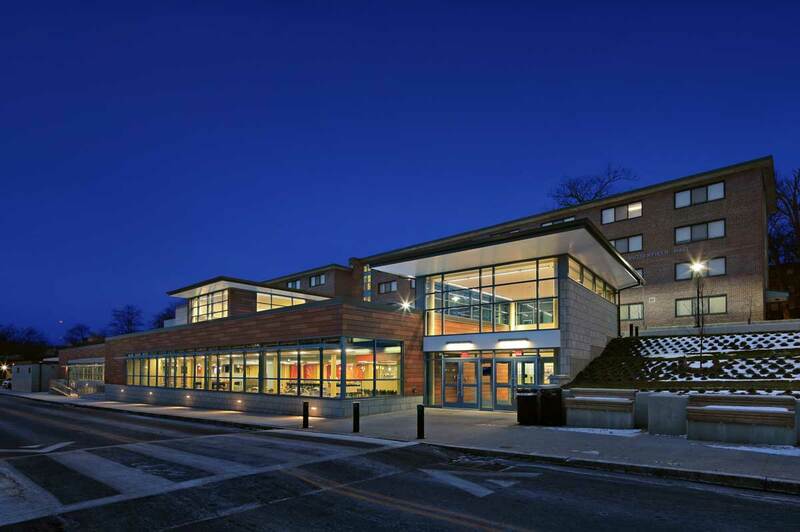 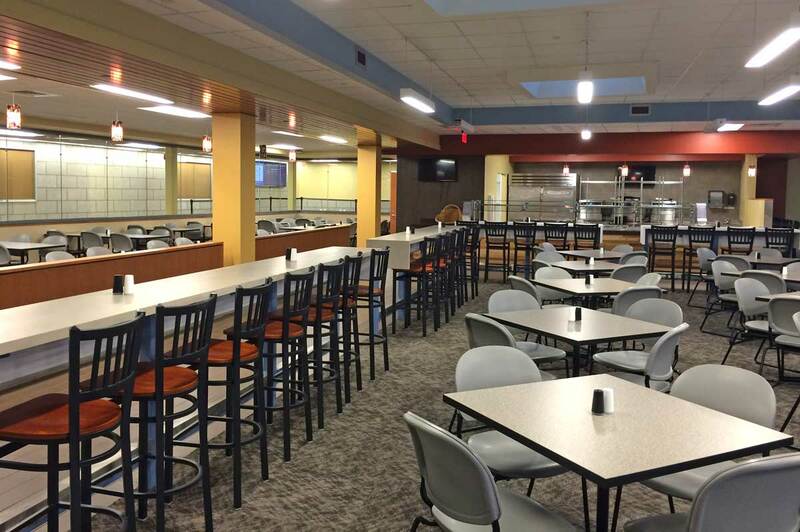 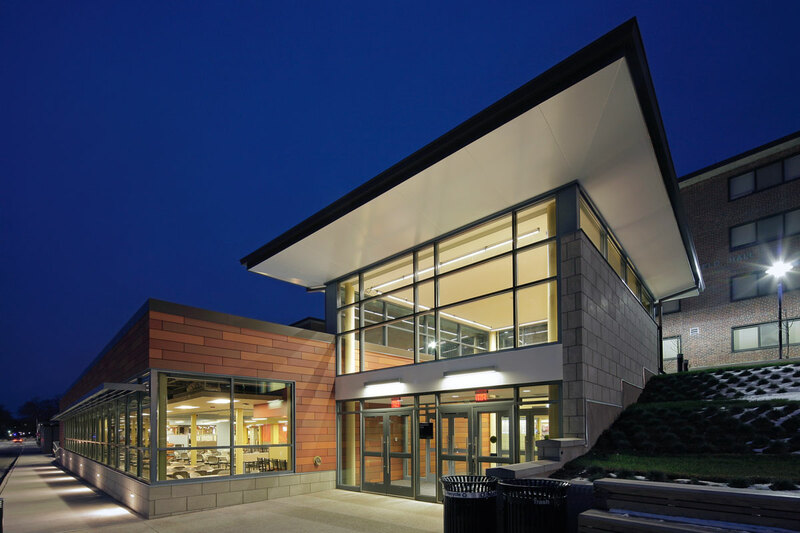 Renovations to the existing 60 ± year old Butterfield Dining Hall included 10,000 s.f. 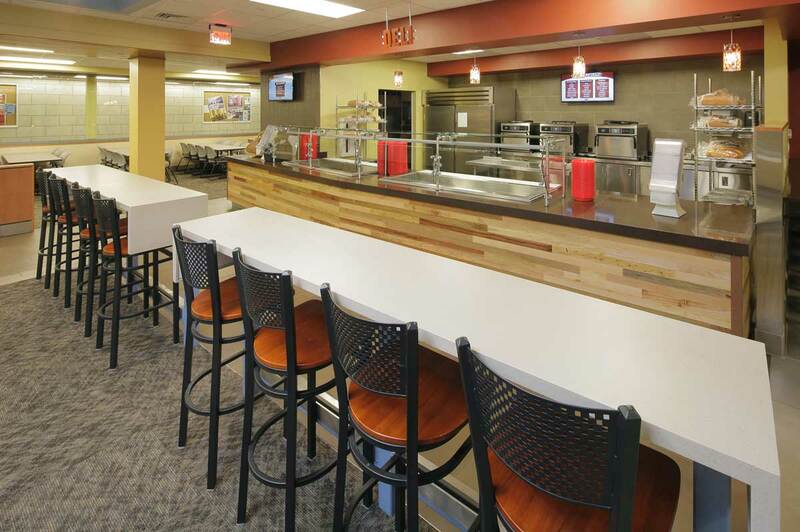 of the existing dining room/servery, and a 7,500 s.f. 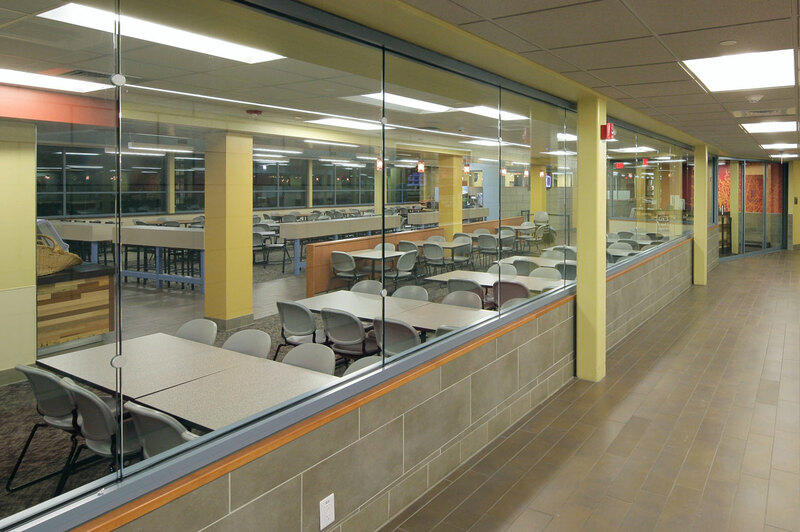 dining room addition on the main level, with a 2,000 s.f. 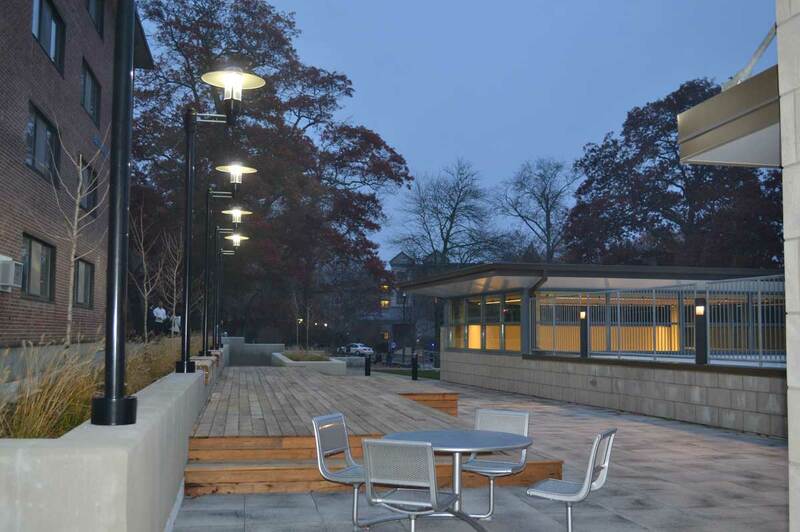 student lounge located on the upper level leading to an outdoor roof deck space. 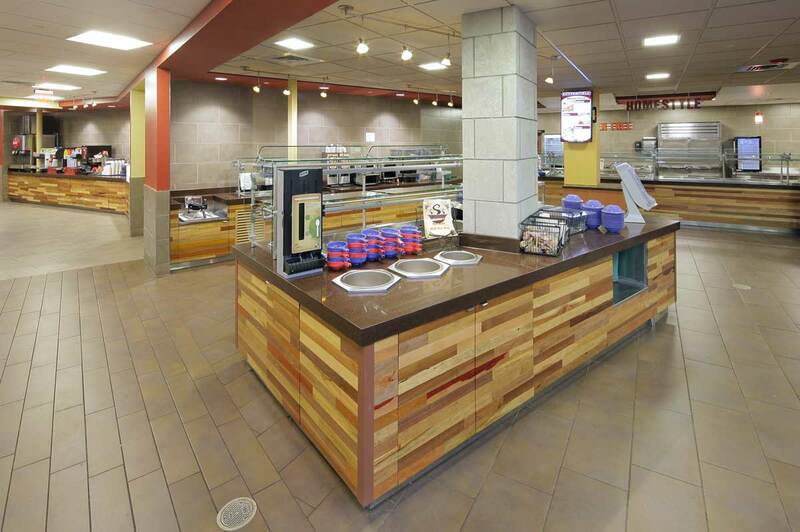 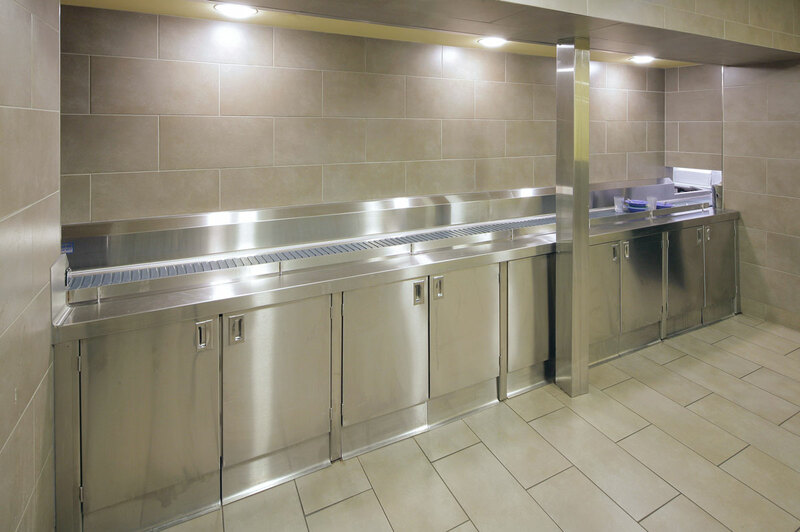 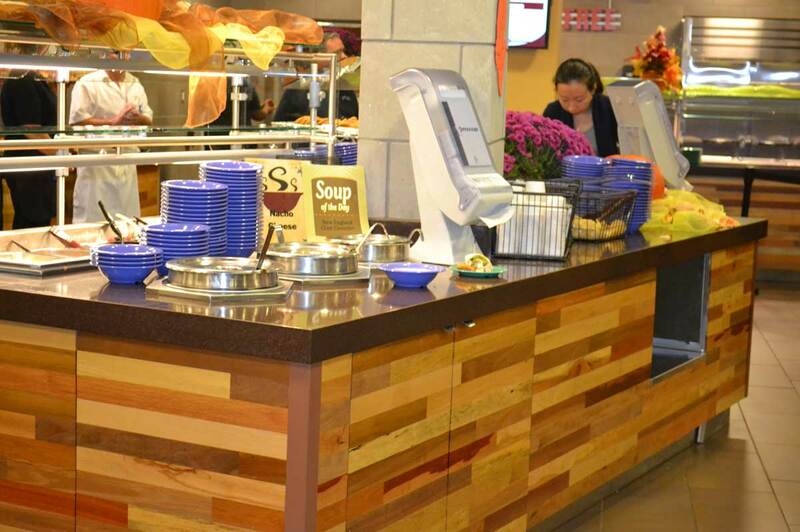 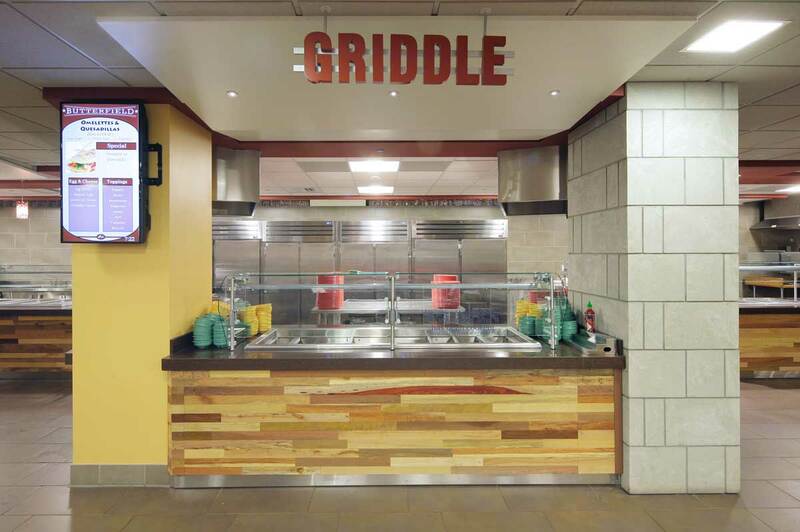 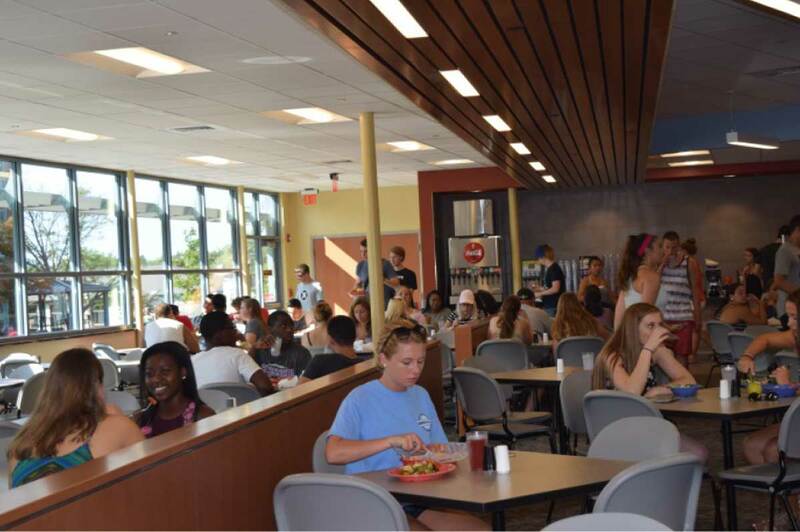 The dining hall seating capacity was increased from 350 to 560 seats and the servery is proud to serve 700 burritos a day.